In 2006, Myuran Sukumaran & Andrew Chan were convicted of drug smuggling and sentenced to death. Rev Christie Buckingham was Myuran’s spiritual adviser. This is her eye witness account of a night that will not be forgotten. You’ve helped us make this powerful film. Thank you! We’ve been blessed with a distribution deal. But the film business is an expensive one and we need just a little bit more. – Allow for a film premiere. We’ve been offered a high profile venue although we need to fly the actors and producers there. This will allow us to create an event not only to premiere the film but also profile Rev. Buckingham and the work she and our sponsors are doing. – Secure our music licensing rights for a further 2 years (we’ve paid for one). So, if you want to make a BIG impact and help see this film get to as many people as possible please donate what you can. Julian York is the founder of Three Kings Pictures. They have been named by the Screen Producers Association of Australia as one of Australia’s ‘ones to watch’ production houses. We seek to tell stories that will work on a global scale however produced and filmed in Australia. Our focus is on producing commercial content but have a passion for stories that have a strong social message as we seek to use film as a medium to be a voice for the voiceless. 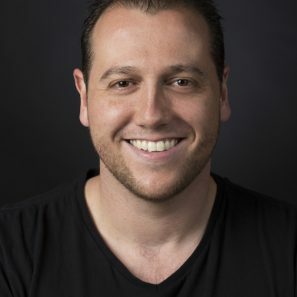 Julian is currently producing his first feature film – Under the Hill, while also in pre-production for a project on the ‘Bali 9 duo’ currently titled Execution Island. He also Executive Produced the short film Melvis (by Mountain High Media) which gained selection in 3 international film festivals including Tropfest. As an actor Julian has appeared in feature films including the award winning Eraser Children, and Little Black Dress. More recently he was a part of the ABC series ANZAC Girls. His stage credits include Misalliance, while also taking part in the Short and Sweet festival playing Smol in the critically acclaimed Fruits of War and prior to that, playing Vince Fontain in a South African production of Grease.